Some of Hawaii’s hiking trails are transformed into dark tales of spooktacular adventure during the Halloween season. 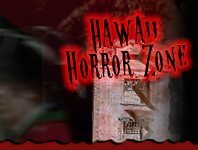 Take part in one of Hawaii’s Spook Walks/Haunted Trails attractions for a scary fun time this Halloween season! There may also be haunted legends to discover and explore on the adventurous walk/trail.